ASUNG CLEAN FLOW TECH CO., LTD.
Sangwol Sweet Potato co., Ltd.
Geumsan Black Ginseng Co., Ltd.
ContiTech Fluid Korea Co,. Ltd.
Dong Yang Steel Pipe Co., Ltd.
Chungcheongnam-do is a beautiful place located in the center of the Korean Peninsula with mountain, sea, wide plain, and a deep river in harmony. Enjoying the glorious and unique civilization of Baekje back in 1500 years ago, Chungcheongnam-do is well embellished with rich cultures and ancient traditions. Such a history and tradition of Chungcheongnam-do is leading to take a new leap in the 21st century. Specializing in the fields for main force of exports including vehicles, semiconductors, displays, and steels as well as newly growing fields of high-tech industries and part materials industries, Chungcheongnam-do is leading a growth in Korea. Pursuing co-prosperity for well balanced development between cities and agricultural areas, Chungcheongnam-do is making the dream of 'living in happiness' come true. With our powerful search tools and marketing solutions, Kompass can help you better understand your marketplace and to generate leads as well as promote your company online towards a targeted audience. 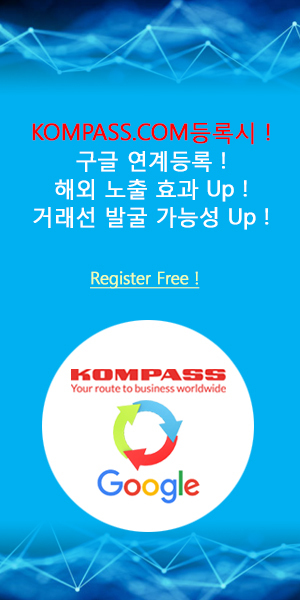 Find out the detail information about South Korean companies in Chungcheongnam-do which is registered in the Kompass B2B worldwide database.